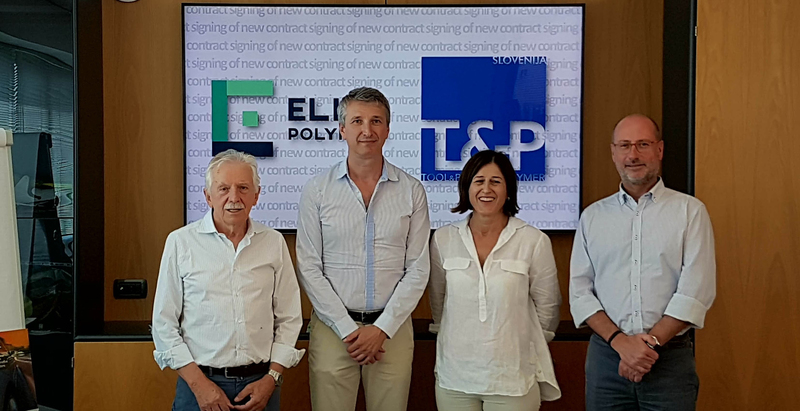 Tarragona, November 6, 2017 – ELIX Polymers, a leading manufacturer of ABS (Acrylonitrile-Butadiene-Styrene) resins and derivatives in Europe, has signed an agreement with T&P Plastic (www.tpplastic.si) for the distribution of its products in the Balkan region encompassing Albania, Bosnia Herzegovina, Bulgaria, Croatia, Macedonia, Montenegro, Romania, Serbia, and Slovenia. T&P Plastic, headquartered in Ljubljana, Slovenia, has four warehouses strategically located in Slovenia, Slovakia, Serbia, and Romania. The new agreement, which covers the entire range of ABS materials (including blends and compounds) produced by ELIX Polymers in Spain, strengthens the existing partnership between ELIX Polymers and the Italian Mida Group (www.midasrl.info), which owns T&P Plastic. ELIX Polymers materials are distributed in Italy by another Mida Group company, Mito Polimeri (www.mitopolimeri.it). ELIX Polymers partners with T&P Plastic for ABS distribution in the Balkans.